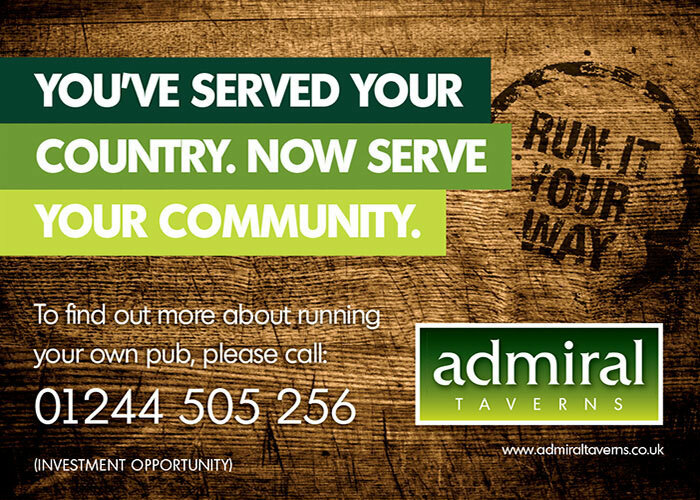 Admiral Taverns have become the UK’s number one community pub group thanks to an unwavering focus on the working partnership we have developed with our licensees – all of whom run individual businesses in their own right. Great community pubs, run by brilliant licensees, are at the heart of everything we do. Whether it’s a traditional local, a “roses around the door” country inn or a vibrant city centre bar, we recognise that every one of our 1200 pubs is a focal point of the community. We also understand that all of our pubs – and the licensees that run them – are different, which is why our approach is tailored to the needs of the individual business. It’s an approach built on our three success pillars: maximising the potential of every pub; working with talented people; and investing in and supporting our pub businesses. Our range of flexible agreements are in all shapes and sizes – from fully tied to free of tie and everything in between. So if you are interested in running your own business we will help you identify the right pub opportunity and the right agreement.